Lose body fat and avoid hunger. 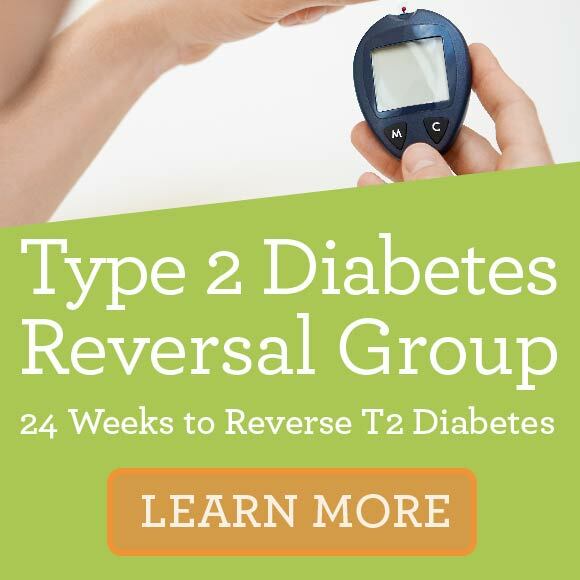 iDiet Engage groups are structured around small groups that meet for 1 hour once a week at a scheduled time. The group size is never more than 15 participants, and you meet virtually using videoconferencing software that we provide at no charge. You can use your desktop, laptop, tablet or phone (iPhone or Android). 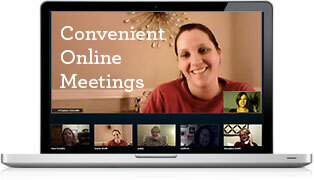 This means you can attend your weekly meeting from anywhere — home, work or travel. Plus you get access to our member site for weight tracking and food diary tools, support forums, and our recipe library. iDiet OnDemand offers the same lessons and features as Engage, but packaged for busy people as self-directed videos, so you can watch your weekly lessons on your schedule at your convenience, then ask for support from our certified Group Leaders on our member website 24/7. The iDiet is separated into 3 phases. The first phase introduces you to the iDiet way of eating, and it is where we see most significant initial weight loss. This lasts for a minimum of 2 weeks, or as long as you wish it to continue while you build your new healthy habits. This is followed by a steady trend of weight loss in stage 2, where we provide ongoing education and support and help you set your new lifestyle as a solid routine. We also expand your food repertoire with even more healthy meal options. The 3rd phase, called Maintenance, kicks in once you have reached your weight goal. In Maintenance, you are monitoring your weight and enjoying all of the healthy iDiet recipes. You can even eat out and enjoy sensible amounts of wine and cocktails. We provide customized calorie plans for the first two stages, and help you customize your maintenance plan in order to promote sustained weight loss, even on vacation and during holidays. The program starts with a menu plan that is designed for 1) ideal body fat loss and 2) reduction of hunger. You consume 3 meals (breakfast, lunch and dinner) and 2 snacks every day. You can even have desserts based on filling and satisfying iDiet recipes. Cooking is optional. Delicious food is not. While in the iDiet program, we provide menu plans with different options, whether you like to cook or you prefer to “throw together” meals from store-bought ingredients. Additionally, we provide weekly handouts and a library of recipes that are “iDiet legal,” which means they have been formulated to meet our specific dietary composition standards to keep you full and satisfied and eliminate cravings. Most importantly, we provide weekly education from a certified and experienced Group Leader (GL). The education covers nutrition as well as the psychology behind food choices, and is based entirely on over 20 years of scientific research. The curriculum is also supported by evidence gathered from running the iDiet program. We take foods that are familiar and enjoyable and tweak them to have a favorable nutrient composition. Our objective is to create a program where you always feel full and satisfied to the point where there is no feeling like you are “dieting” —aside from your steady weight loss! Additionally, our program is ideal for people trying to maintain their weight and would like to learn about healthy eating habits. You follow a food plan that is high in fiber, protein and overall volume (to keep you full) as well as low in high-glycemic foods for the first 12 weeks (or until you hit your weight loss goal). After that, you follow a diet with similar dietary composition, but that allows for more variety to make the diet much more sustainable and enjoyable. We believe that education and personal support are the keys for promoting sustainable weight loss. And the best part of the iDiet weight loss plan is losing weight without ever feeling hungry. Also, something you might notice is the iDiet does not require extra exercise! You can exercise if you wish — and many iDieters start to feel so good in their body and personal confidence that they begin to increase their physical activity — but our research, as well as many clinical studies have shown that it’s what you put in your mouth, not how much you sweat, that is the primary driver of weight loss. Exercise is great for overall health and longevity, but it’s easier and faster to avoid eating excess calories than it is to “burn them off” through exercise. If there is anything else you would like to know about the program or if you have any questions, please do not hesitate to contact us at 866-604-7662 or info@theidiet.com, or use the little widget in the lower corner of the site.